How can you motivate a team to follow you in spite of apparent risks? Bear Grylls is the host of the summer 2013 NBC reality series Get Out Alive. Previously he starred for seven seasons in the adventure series Man vs. Wild (reaching an estimated 1.2 billion viewers in more than 180 countries). Educated at Eton, Bear served in the elite UK Special Forces unit 21 SAS and was made an honorary lieutenant commander in the Royal Navy. He climbed Mt. Everest in 1998 at the age of twenty-three—just eighteen months after breaking his back in a parachuting accident in Africa. He continues to lead record-breaking expeditions to the world’s extremes, which have raised more than £1.5 million for children’s charities. 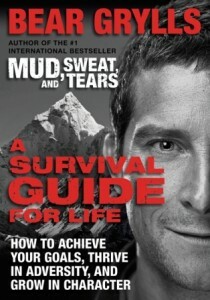 His autobiography, Mud, Sweat, and Tears, was a number one international bestseller. Bear lives with his wife, Shara, and their three sons, Jesse, Marmaduke, and Huckleberry, on a Dutch barge in London and on a small remote island off the coast of Wales. Find out more about Bear at his website, and connect with him on Facebook and Twitter.